Forget the long name, and just remember that this is the garden-terrace also known as Bairro Alto’s viewpoint. The castle can be seen right ahead, as well as the river and a perfect backdrop for a photo of the two of you. No one can resist stopping here to take pictures and admire the view. There are several viewpoints in the Alfama district but this one is perhaps the most breathtaking and arguably the city’s most beautiful. It’s one of the city’s main landmarks but this early-20th-century elevator is worth riding not just for the experience but also for the view from the top. You’ll both feel high in the clouds. 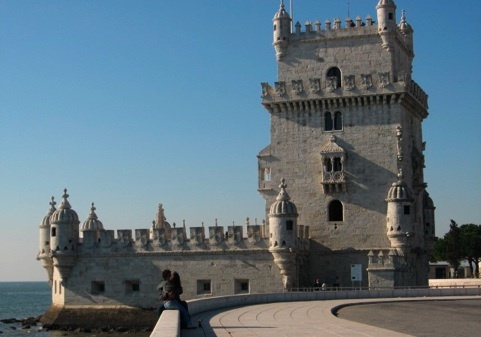 BelÃ©m Tower is the city’s most-photographed monument and a reminder of the great voyages of Discovery when it served as a beacon to many of Portugal’s famous explorers. Now let it be the starting point of a romantic walk along the riverfront, past another city landmark, the Discoveries Monument, perhaps all the way to Docas de Santo Amaro below the monumental 25 de Abril Bridge. Very few people visit this lovely garden and that makes a couple of hours here even more worthwhile. You’ll have it almost all for yourself, with just the variety of trees and a few swans for company. 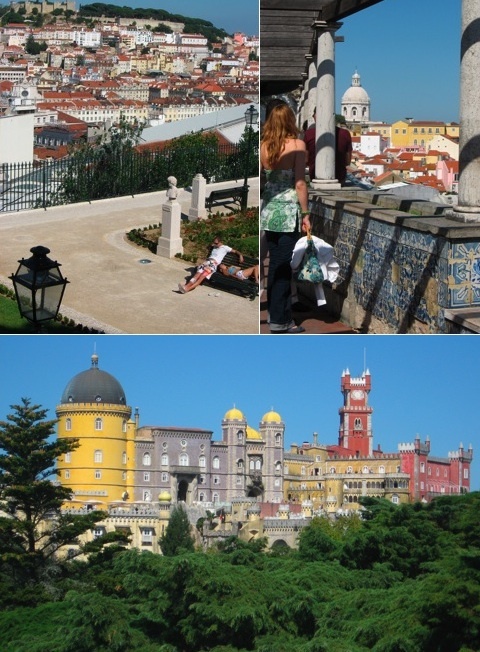 The city’s oldest monument is where you’ll both feel at the top of the world or the king and queen of the castle, admiring Lisbon from a bird’s-eye perspective on the ramparts. The city’s youth prefers to hang out at the cafÃ© of Miradouro da GraÃ§a nearby, but walk up the hill a little further and you’ll arrive at this viewpoint with a breathtaking view of the city. Even if you’re not religious, you’ll both feel blessed by the image of the Virgin on the site, and will want to sit and relax in each other’s company (and in that of other couples too). One of Europe’s first and most important romantic constructions, this must-see fairytale is found right outside Lisbon in one of Europe’s most enchantic towns, Sintra. You’ll see tram 28 recommended in every guidebook, but it’s usually so packed with tourists, that a charming experience is often irritating. So skip the 28 and hop on the 25. Its route is not as long or picturesque, but you’ll likely have more space and be able to better enjoy the romantic ride on these vintage wood-paneled vehicles. The walk along the riverfront in BelÃ©m is romantic enough, but do the same here on the opposite side of town, in the Parque das NaÃ§Ãµes district. This 21st century neighborhood offers cable car rides for panoramic views, but you may also follow the boardwalk, past futuristic architecture, gardens and lawns, all the way to Europe’s longest bridge.